So you want to know how to learn Chinese fast? Well, I’ve got some good news and some bad news. First, the bad news: There are very few short cuts to learning a language any language quickly. It takes time, dedication and discipline. Now on to the good news: Believe it or not, Chinese is one of the few languages that actually has a bona fide short cut. So if you want to know how to learn Chinese fast, you’re in the right place. In any language, the most time consuming part is learning the alphabet and picking up core vocabulary. This is especially true in the case of Chinese. There is no alphabet, and learning vocabulary requires rote memorization of thousands of Chinese characters. So if you want to know how to learn Chinese fast, what are you to do? Focus on Pinyin. In my last post, I wrote a bit about Pinyin. Here I’m going to go a bit more in depth. Grab your popcorn, because this is not going to be the shortest post you’ve read. (Hanyu) Pinyin is the official system to transcribe Mandarin Chinese sounds into the Roman alphabet. It was invented in 1950s, developed by the People’s Republic of China in 1958, and implemented in 1979. It is used exclusively in mainland China to this day. Over the years pinyin has become widely accepted by the international community, replacing older systems of Romanization such as the Wade-Giles system. Pinyin is used for several purposes, such as teaching Chinese, transcribing names and places into the roman alphabet, and used as an input method for typing Chinese characters. In Chinese, pinyin literally means “spelled sound” – pīn (拼) “put together; spell”, yīn (音) “sound”. It is used in most Chinese language institutes to teach Mandarin as a second language. It’s a way to read Chinese without having to know the characters. Many Chinese street names are written in pinyin in China and Taiwan. For people who are trying to learn Chinese as a foreign language, pinyin is generally a helpful resource. It is important to remember that although Pinyin uses the same letters as European languages, the sounds those letters represent are the sounds of Mandarin Chinese. So if you want to know how to learn Chinese fast, Pinyin is the way to go. Unlike European languages, clusters of letters – initials (声母; 聲母; shēngmǔ) and finals (韵母; 韻母; yùnmǔ) , form the fundamental elements in pinyin (and most other phonetic systems used to describe the Han language). Every Mandarin syllable can be usually spelled with exactly one initial followed by one final. Below table indicates possible combinations of initials and finals in Standard Chinese, but does not indicate tones. a – sounds like the “a” sound in the English words “ah” or “ha” or “father”. o – sound in Mandarin can be a little tricky, because you probably expect it to sound like the English word “oh”, but that sound is mostly represented by -ou in pinyin. It actually represents two different sounds in pinyin. The one at the top, o, is the pure “o” sound, although it sounds a bit terse and cut off, compared to the English word “oh”. The syllable lo rhymes with o. All the other -o syllables in this column sound a bit different. The syllables bo, po, mo, fo seems to rhyme with the -uo column. For these syllables, the -o sound comes across like kind of a “oo-uh” sound, which you should really listen to a lot until you get a feel for it. e – sounds kind of like the English “duh” or a rather unexpected “uh” sound, totally different from both the short “e” sound in “pen” in English, and the long “e” sound in “see”. i – sounds like the English “ee” sound in the word “see”. u – sounds like the English “oo” sound. The only catch is that the syllable written “wu” but pronounced “oo”. ie – as in yes. ei – as in may. ue – ü(see above) + e as in bet. These vowels can be combined to give the sounds: ai, ao, ou, ia, ua, uo, iao, iu, uai, ui. iu ee as in see + oh! an, en, ang, eng, on, ian, in, ing, iang, iong, uan, (w)en, uang, (w)eng, (y)uan, (y)en. And lastly the vowel er, as in the ending of flower: the tongue is curved upwards towards the roof of the mouth. In Chinese, consonants are only present at the beginning of a syl­lable, except for -n and -ng that represent a nasal vowel. b – sounds roughly like the English “b” sound, but it is voiceless in Chinese, which means that it might sound a little like a “p” to you. With enough exposure you’ll get used to it. Beginners can get away with an English “b” sound. d – sounds roughly like the English “d” sound. This is also voiceless in Chinese, which means that it might sound a little like a “t” to you. Beginners can get away with an English “d” sound. g – sounds roughly like the English “g” sound. This is voiceless as well in Chinese, it might sound a little like a “k” to you. Beginners can get away with an English “g” sound. h – as regular “h” sound that you’re familiar with. 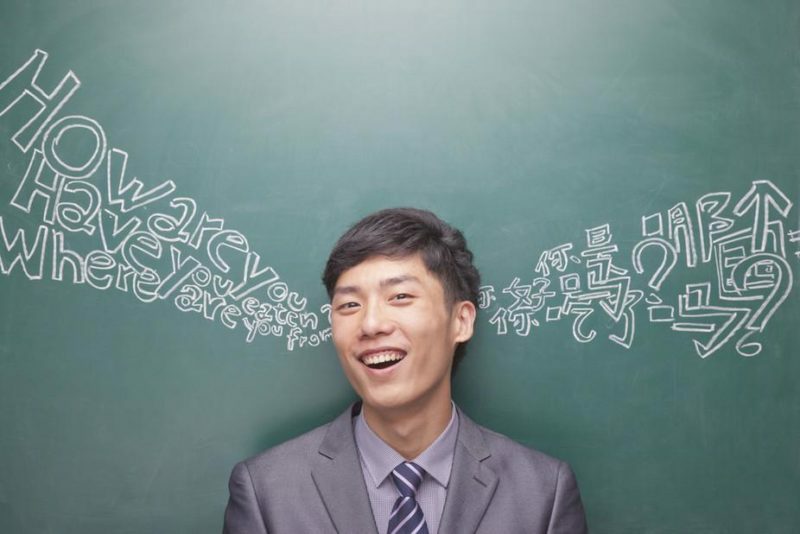 The Chinese sounds represented by “x-“, “q-“, and “j-” in pinyin do not exist in English, and require you to train your mouth to make totally new sounds. x- try to make a “sh” sound while the tip of your tongue is down, below your lower front teeth. The middle of your tongue should rise to the roof of your mouth to make the sound. This should feel weird, because this is not something you normally do in English. One way you know you’re making the “x-” sound correctly is that you can comfortably smile while you make it, whereas it’s a bit difficult to do this with the “sh” sound. A good syllable to practice the “x-” sound with first is “xi”. Then move on to the super-common word “xièxie” (meaning “thank you”). q- “q-” and “x-” and sounds are very similar to each other, in the same way that “sh” and “ch” sounds are similar to each other (in English as well as in Chinese). You’re basically adding a “t” sound to the front of the “x-” to get the “q-” sound. j- not the same as the English “j” sound. The tip of your tongue should be down behind your lower front teeth when making this sound, just as it is for the “x-” and “q-” sounds. If you try to make an English “j” sounds with your tongue in this new position, you should be to make the pinyin “j-” sound. c –”ts” as you hear in the English words “cats” and “Watson” and “robots“. s – like the “si” in the English word “sit”. zh –very similar to the English “j” sound, except that in Mandarin Chinese the tongue position is a bit further back. That said, zhi is not pronounced like “gee”, this is an alternate -i sound pretty similar to the zi, ci, si vowel sounds you learned before. To make the zhi sound, try to pronounce the English word “jerk”, but STOP right as you get to the “r” sound. The zhi sound has also been described as sounding like “zhrrrrr” (which ryhmes with “brrrrr”, the sound you make when you’re cold). ch –very similar to the English “ch” sound, except that in Mandarin Chinese the tongue position is a bit further back. At the same time, chi is not pronounced like “chee”, this is an alternate -i sound pretty similar to the zi, ci, si vowel sounds. To make the chi sound, try to pronounce the English word “chirp”, but STOP right as you get to the “r” sound. The chi sound has also been described as sounding like “chrrrrr” (which ryhmes with “brrrrr”, the sound you make when you’re cold). sh –very similar to the English “sh” sound, except that in Mandarin Chinese the tongue position is a bit further back, but shi is not pronounced like “shee”. To make the shi sound, try to pronounce the English word “shirt”, but STOP right as you get to the “r” sound. The shi sound has also been described as sounding like “shrrrrr” (which ryhmes with “brrrrr”, the sound you make when you’re cold). Pinyin “r-” does not make the same sound as “r” in English. In fact, the Mandarin Chinese “r-” sound does not exist in English, so you’re going to have to train yourself to make the sound. Like the ch-, sh-, and zh- sounds of last section, Mandarin Chinese’s r- sound is also retroflex. That means the tip of your tongue should be pointed up toward the roof of your mouth, and also be rather far back in your mouth. That makes it quite different from the typical American “r” sound, which is pronounced by raising the middle of the tongue in the back of the mouth. Ok, I know that I threw a lot at you, but if you want to know how to learn Chinese fast, Pinyin is the way to go. Hope this was helpful, and good luck!